At the start of the book, we are introduced to a government run recovery system called The Program. This has been set up in response to an epidemic of suicides. Teenagers are picked up if they show any signs of depression and taken to be ‘cured’. Many of their memories are wiped and when they are deemed well enough, they are returned home, where they are supported by specially trained handlers, to help their return into society as happy, well rounded young adults. The key characters have witnessed the return of several friends after their treatment and realise that it is not always a positive outcome. In order to try and avoid The Program, Sloane and her boyfriend, James, struggle with the reality of their teenage lives. Sloane, the protagonist of this series, has lost her brother to suicide, witnessed by both herself and James. Inevitably, first James and then Sloane are enrolled in the Program. She is devastated when James no longer seems to remember her on his return and when Sloane also finds herself enrolled in the system, she expects the worse. There is a glimmer of hope when she meets Michael Realm and her handler, Kevin. Both of these characters will play larger roles as the novel proceeds. I love YA dystopian books and, after reading the blurb and realised romance was involved as well, I was expecting to be enthralled with this book. Whilst I enjoyed it and have bought the second in the series, I am not racing to read it. It was good, but not fantastic, a strong 7 out of 10. I spent most of the book wanting a little bit more than it delivered! I found the characters a little bland, the conflicts within the book, a little insipid. This led me to build few connections with the characters and if I am honest, I didn’t really care what happened to them, as I found them fairly one dimensional. Their backgrounds and thoughts were never fleshed out enough, leaving me with with little empathy for them! Fingers crossed this will be rectified in the second of the series…. This is a book about a school shooting: a teenage boy walks into Three Rivers College and shoots 13 young women dead. He then turns the gun on himself. 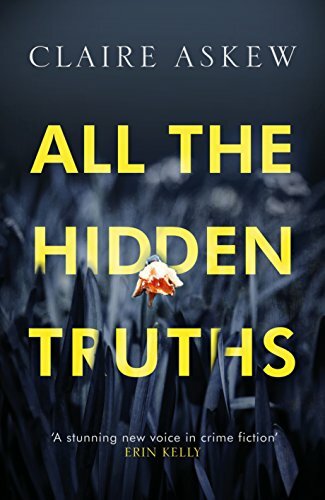 This shocking event happens at the start of All the Hidden Truths, and the remainder of the book tries to sort out the emotions and anguish surrounding the shooting as well as try to figure out why Ryan Summers was driven to do such a thing. I am not sure I would have chosen to read this book on the sunny Sunday morning, I did as it is fairly grim both in subject matter and narrative. However, it turned out to be a compelling read that I finished in one sitting.